The Best Gift: The gift of an Adventure! Give an eGift card with a preloaded balance of $25, $50, $75, $100, etc. This can be used towards anything sold at our High Trek locations including the ropes course & ziplines, mini-golf, laser tag, merchandise and snacks & beverage. 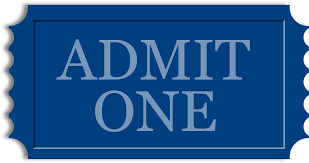 These are the popular 90 minute tickets to our ropes course and ziplines. They are sold at a great value and are good thru the 2019 calendar year. These are single use so packs must be used in 1 visit. Tired of giving your friends and family stuff that sits at the bottom of their closets or never gets used? 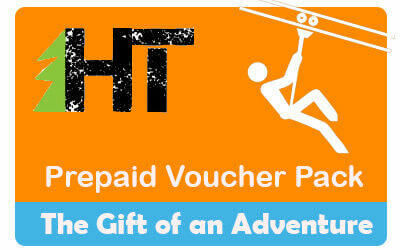 How about giving them the gift of an experience with High Trek Adventures? Below are 2 ways of doing just that. When buying gift cards, many customers ask how much to buy, based on the activities available. Below are some suggestions based on summer ticket prices and number of people the gift is for. Please keep in mind that these are only suggestions and the gift cards can be used like cash at our sites. We offer 1 or 2-hour experiences as well as mini-golf or laser tag at our other location. We now have online gift cards available with options to deliver the eGiftCard through an immediate email transmission or scheduled email delivery. The eGiftCard you receive via email can also be printed out, providing you with the ability to have physical gift presentation. Our eGiftCards will work at all of our High Trek Adventure locations and for any product or services you wish to purchase. Gift an experience with a High Trek eGiftCard!! 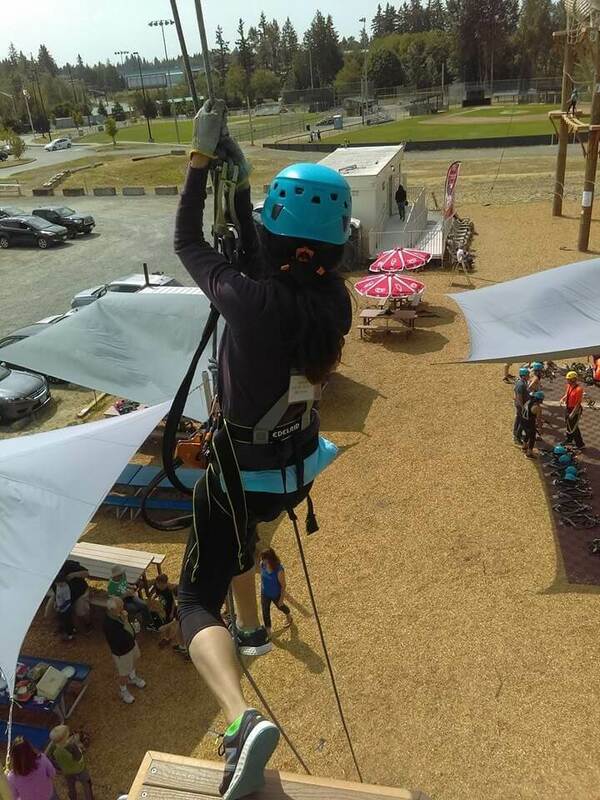 Can be used towards admission to the Ropes Course with Ziplining, Miniature Golf course, or coming soon ...Laser Tag, as well as any food, beverage, or merchandise. Why give "stuff" when you can give a High Trek Adventure? Visit our Voucher Pack page for more details. Walk-ins are always welcome, space permitting. Feel free to call or email to verify availability.